Congratulations to four of El Dorado School District's Orchestra students for making the All-Region Orchestra in their recent competition. 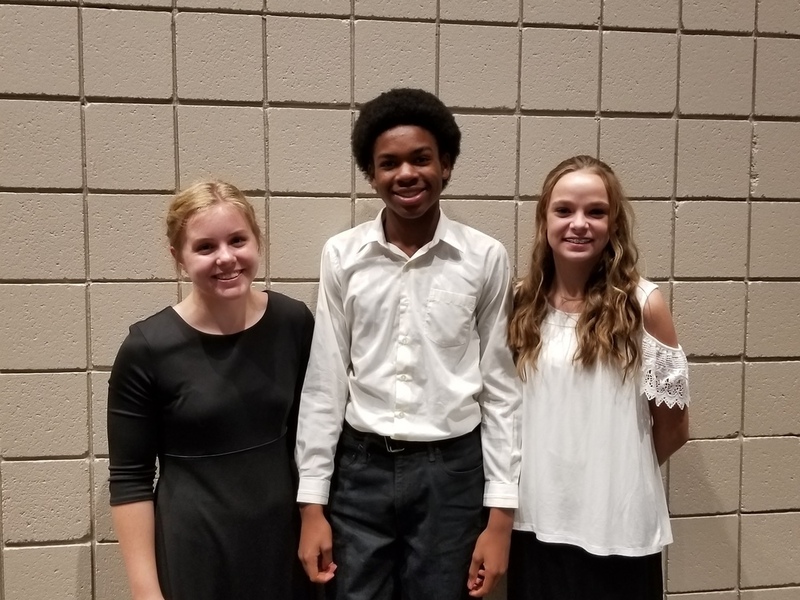 Three of the students went on to perform in All-Region concert. EHS 11th grader Lorin Utsch (pictured) was selected as 5th Chair 2nd Violin in the 2018 South Region Senior High All-Region Full Orchestra and qualified to attend All-State try-outs. EHS 9th grader LaMario Island (pictured) was selected as 1st Chair 1st Violin and Concertmaster in the 2018 South Region Junior High All-Region String Orchestra. BJHS 8th grader Patricia Burris (pictured) was selected as 1st Chair Viola in the 2018 South Region Junior High All-Region String Orchestra. BJHS 7th grader Jonah Davis (not pictured) was selected as 5th Chair Double Bass in the South Region Junior High All-Region String Orchestra.